Boston Public Schools Farm to School Project featured in two Boston Globe Articles. Both articles were written by Globe Correspondent Michael Prager, author of Fat Boy, Thin Man, which chronicles his own transformation from obesity to health. The first article, “Changing Students Lunches, One Tray at a Time,” looks at the move towards scratch cooking and farm grown ingredients in several Massachusetts school districts, including Boston. Read the full article on boston.com. The second article, “Hadley Farmer’s Business is Growing Fast,” profiles Joe Czajkowski of Czajkowski Farm in Hadley, Massachusetts. Czajkowski Farm is a major player in the Massachusetts Farm to School Project and one of our main sources of locally grown produce at Boston Public Schools. Read all about the farm’s operations on boston.com. Fox 25 Morning News interviewed Francis Storrs, the Assistant Editor at the Boston Globe Magazine, about the Boston Globe Magazine Article on School Food featured on October 9th. Watch the video HERE! An excellent article in the Boston Globe Magazine looks what really goes into school lunch in Boston. Click HERE to read the full story online. Elementary schools across Boston are participating in the USDA Fresh Fruit and Vegetable Program for the ’10-’11 school year. The Fresh Fruit and Vegetable Program provides children an extra serving of free fruits and vegetables outside of the breakfast and lunch program. A newly released report by the Food Research and Action Center placed Boston 3rd out of 29 urban school districts in breakfast participation among low-income students. Boston’s breakfast participation overall is up 16% from last year. The Boston Public Schools Farm to School Initiative launched its Local Lunch Thursdays campaign in December. 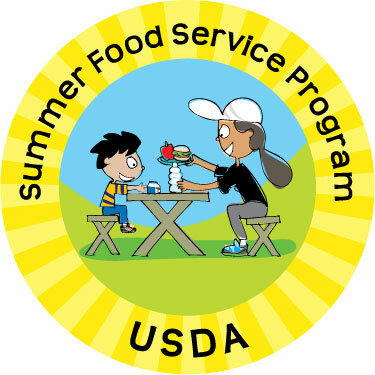 This program is the culmination of two and a half years of work to incorporate locally procured fresh fruits and vegetables into Food & Nutrition Services menus district-wide.